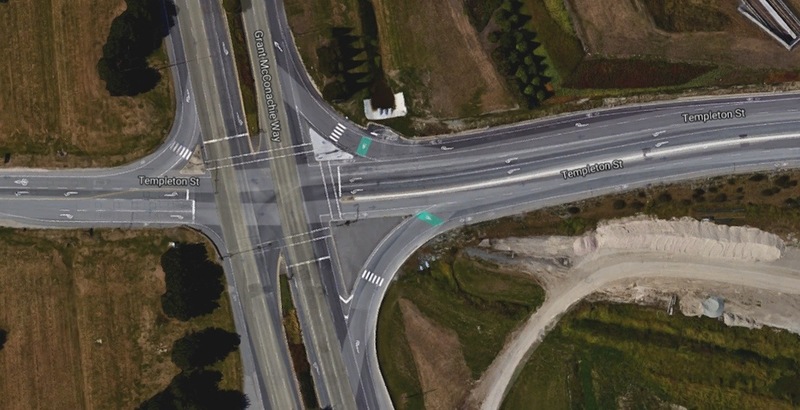 Bottlenecks on Grant McConachie Way in the area of Templeton Street on Sea Island could be a thing of the past when a highway-like interchange is constructed to replace the existing traffic signal-controlled, grade-level intersection. Vancouver International Airport plans to increase the capacity of the main arterial roadway route to the terminal by upgrading the existing intersection with Templeton Street, which has seen exponentially higher traffic levels since the opening of McArthurGlen Vancouver Airport Outlet Centre in 2015. Don Ehrenholz, the Vice-President of Engineering for the Vancouver Airport Authority, told Daily Hive that YVR’s updated long-term master plan calls for the construction of an interchange over Grant McConachie Way and Templeton Street to take vehicles making left or right turns on Templeton Street off of the main road to the airport. This would allow for higher traffic throughput with all lanes going straight to the terminal, which is anticipated to continue to see immense passenger traffic growth over the coming years — from the record 25 million passengers in 2018 to 31 million passengers by 2022. In addition to supporting YVR’s growth, it would also accommodate the projected growth in traffic generated by the outlet centre, which is primarily accessed from Templeton Street. A second phase expansion currently being constructed will add 84,000 sq. ft. of additional space with 35 new retailers by late-spring 2019. 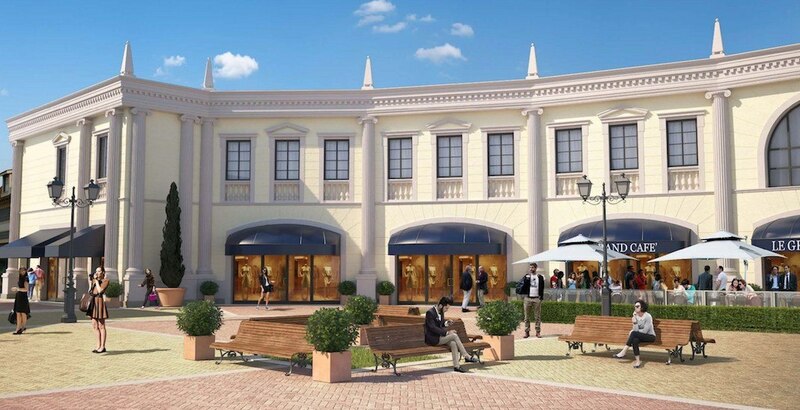 A future third and final phase will expand the shopping mall even further, with up to an additional 120,000 sq. ft. of space. The completion of both expansion phases would push the total floor area of the outlet centre from the existing size of 240,000 sq. ft. to 440,000 sq. ft. The shopping mall is a partnership between McArthurGlen and YVR, which provides the airport with a major source of non-aeronautical revenue to help support airport operations and allow the airport to remain globally competitive. 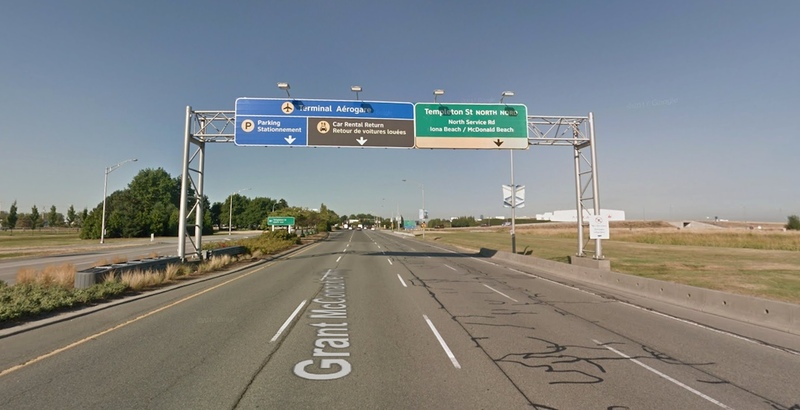 Traffic into the shopping mall currently peaks during the holiday season, especially on Boxing Day, and each year the airport warns passengers of possible delays on the roadway. Ehrenholz says YVR has extensive traffic management plans in place during the peak shopping season days and adapts the plans each year with key learnings. “Black Friday went very smoothly this year with no major traffic issues. There was record-breaking turnout for Boxing Day which contributed to added traffic in the area,” Ehrenholz told Daily Hive. 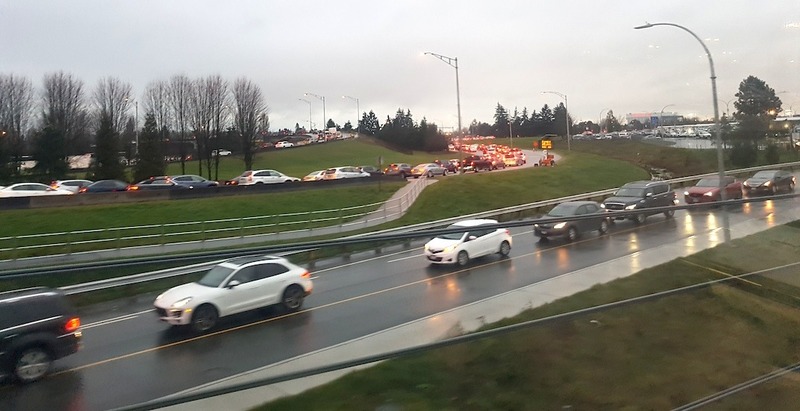 Short-term improvements until YVR builds the new interchange could potentially include improving the turning ability for drivers by extending the green light and potentially creating an additional turning lane at pinch points. Over the longer term, the master plan indicates airport officials have reserved the option to extend Templeton Street to Russ Baker Way — along the western border of the Burkeville community — to provide an alternate route for airport traffic. In a previous interview, Craig Richmond, President and CEO of the Vancouver Airport Authority, told Daily Hive improvements could also be made to the Canada Line servicing the airport. A second platform could be built on the opposite side of YVR Airport Station’s single track to provide the station with a relief to overcrowding. YVR is currently undergoing an ambitious $9.1-billion expansion entailing a massive expansion of the terminal building, new parkade facility, and geothermal power plant. The project is self-funded through the airport’s independently-generated revenues.